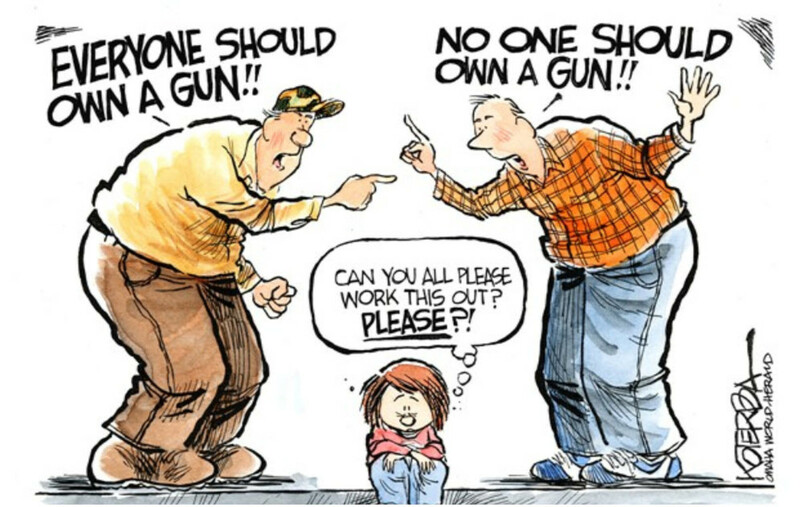 Gun Fanatics: No One Wants to Take Your Guns! Confiscation of firearms will never happen in the United States. It isn't constitutionally legal. But, that doesn't stop gun fanatics from obsessively anguishing about it. 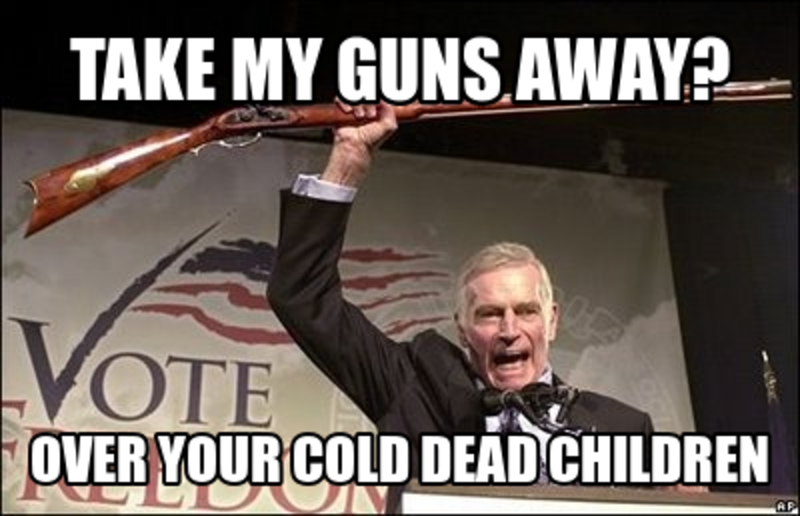 Almost any conversation about new gun laws in response to a mass shooting, if there is a gun zealot present, you'll get the standard admonition: "We won't give up our guns!" It is their way of shutting down any conversation about restructuring firearms regulations to avert mass shootings. Mass shootings, more times than not, committed by people that should never be in possession of a firearm, let alone several high-powered automatic weapons. NBC News reports that eighty-two percent of the firearms used in mass shootings over the last thirty years were obtained legally. Nikolas Cruz, perpetrator of the latest mass shooting, killing seventeen high school students in Florida, legally obtained the AR-15 assault rifle he used. It is reasonable to believe that more than three quarters of those mass shootings could have been avoided with stricter, uniform, firearms legislation, a waiting period, and broader, deeper, background checks. Mother Jones published an extensive database of every mass shooting from 1982 through 2017, including data on the legality of the firearms used in the shootings. The spreadsheet data can be accessed here. What is the basis of the gun extremists' neurotic, phobic delusion about having their precious firearms confiscated by the government? Fear of confiscation is an irrational fear of an action that has never been suggested by anyone with the power make it happen, never. The fear stems from deep seated insecurity. The country is changing, fast. Firearms seem to be a security blanket, the white male's mental fortress, against time and societal change. Black and Latino communities have guns too, a lot of guns. But for a much different purpose, foremost personal and family safety. There isn't the paranoid, "tyrannical government," fear of others and change, that seems to run through white patriot groups. The collective psychology of this is interesting. Black and Latino communities never felt a sense of collective privilege. Many whites, tea-party and patriot militias exhibit an undercurrent of insecure fear that a demographically changing America, where they will not be the majority, will undermine their privilege, their preferred cultural supremacy. It is irrational, but it's real for them. They're arming themselves against a paranoid mental construct of their own making. This collective phobic delusion is fed by the right-wing, 'patriot', tea-party\libertarian media information bubble. This fear-based rage was put on steroids November 4, 2008 with the election of President Obama. "I have been in business for 12 years, and I was here for Y2K, September 11, Katrina," Conatser said, as a steady stream of customers browsed what remained of his stock. "And all of those were big events, and we did notice a spike in business, but nothing on the order of what we are seeing right now." What was it that whipped up the fear-frenzy of conservative, right-wing whites...? Fox News, internet 'patriot' sites, demagogues like Sarah Palin with her "take our country back" rhetoric and "2nd amendment solutions" flag-draped, bible-thumping, cloaked threats. All endorsed by the GOP/Tea-Party/Libertarians and...the NRA. The Bill of Rights, which includes the 2nd Amendment, was written for a definite purpose and time. The prevailing narrative spewed by right-wing patriots, libertarians and the tea-party has turned the 2nd Amendment's purpose inside out, upside down and backwards. They contend that the 2nd Amendment's function is to empower the American people against their own government and American electorate. Right-wing patriots obsessively repeat the blatant falsehood that the founding fathers inserted the 2nd Amendment into the Bill of Rights to enable the people to resist their government should it become 'tyrannical.' Their definition of 'government tyranny' being anything the electorate, or government, decides against their beliefs or sensibilities. The men who gathered in Philadelphia in 1787 weren't precursors to France's Robespierre or Russia's Leon Trotsky, believers in perpetual revolutions. In fact, their work on the Constitution was influenced by the experience of Shays' Rebellion in western Massachusetts in 1786, a populist uprising that the weak federal government, under the Articles of Confederation, lacked an army to defeat." The 2nd Amendment was crafted to ensure a strong central government response to internal or external aggression, at a time when the U.S. government had no official standing army to resist aggression, internal or abroad. It was not crafted to foment internal revolution because someone doesn't like what the electorate or government decides. Justice Stevens wrote this scathing dissent of the 2008 SCOTUS ruling on District of Columbia vs Heller, which radically reinterpreted the original intent of the 2nd Amendment. "The Second Amendment was adopted to protect the right of the people of each of the several States to maintain a well-regulated militia ... Neither the text of the Amendment nor the arguments advanced by its proponents evidenced the slightest interest in limiting any legislature's authority to regulate private civilian uses of firearms. 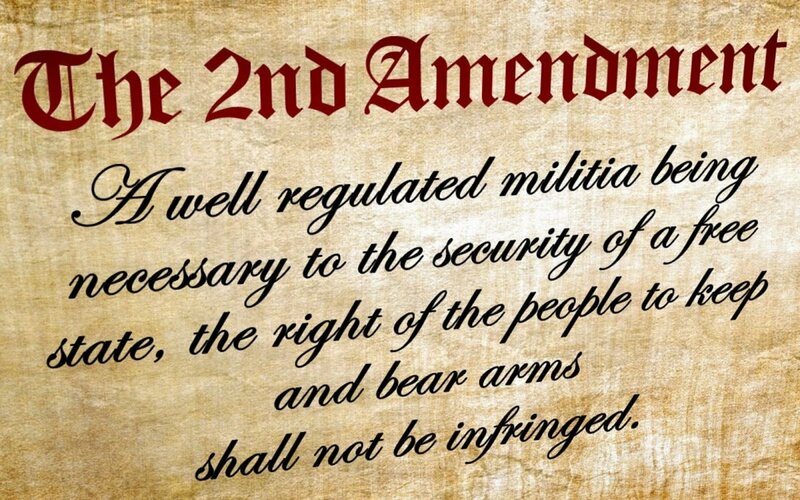 Specifically, there is no indication that the Framers of the Amendment intended to enshrine the common-law right of self-defense in the Constitution." Justice Stevens's full dissenting opinion can be read here. The SCOTUS in 2008, with a 5-4 decision, upended over two hundred years of consensus judicial understanding of the intent and application of the 2nd Amendment. In 2010 the SCOTUS made a ruling that cleared some ambiguity about the Heller decision of 2008. That case was McDonald vs City of Chicago. What the Heller 2008 decision and McDonald 2010 decisions accomplished was the establishment of Americans' right to own and possess firearms. Also, especially with the McDonald decision, the 2nd amendment could not be abrogated by local statutes. Both SCOTUS rulings cited, highlighted, firearms for self defense. What either of those rulings didn't do, they didn't assess any legal meaning to the public arming itself against its own government. There is zero legal citation or precedent for that ludicrous assertion. "Put simply, we have no power to extend Second Amendment protections to weapons of war," Judge Robert King wrote for the court, adding that the Supreme Court's decision in District of Columbia v. Heller explicitly excluded such coverage." The foundation of the militant gun lobby's argument is based on emotion: the insecure fear of whites, mostly male, many barely clinging to middle class status, losing their presumed privilege in American culture. They've been led to perceive that 'the government' is out to get them. That the rapidly changing demographics of the United States spell an end the 'their way of life'. When America looks in the mirror, it still sees a white, middle-class Christian male, with an adoring wife and several children. This delusional reflection lives a semi-rural or suburban lifestyle. There are hardly, or only token, representatives of non-whites in his world. 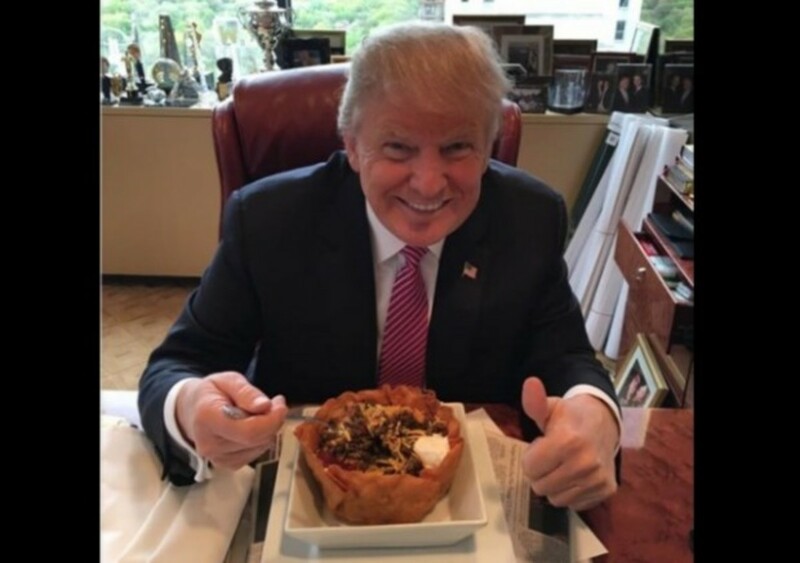 He views his world as a melting pot, but the ingredients should be chosen by white males. The NRA plucks the strings of these white anxieties, to the point where they begin shouting about "2nd amendment remedies" to their anxieties and grievances. Firearms manufacturers then watch their sales increase as a result of their public relations and lobbying organization, the NRA. It's called 'Disaster Capitalism'. Disaster Capitalism is a term coined by Naomi Klein to describe the systemic process corporations use to profitably exploit disasters, real or imagined. 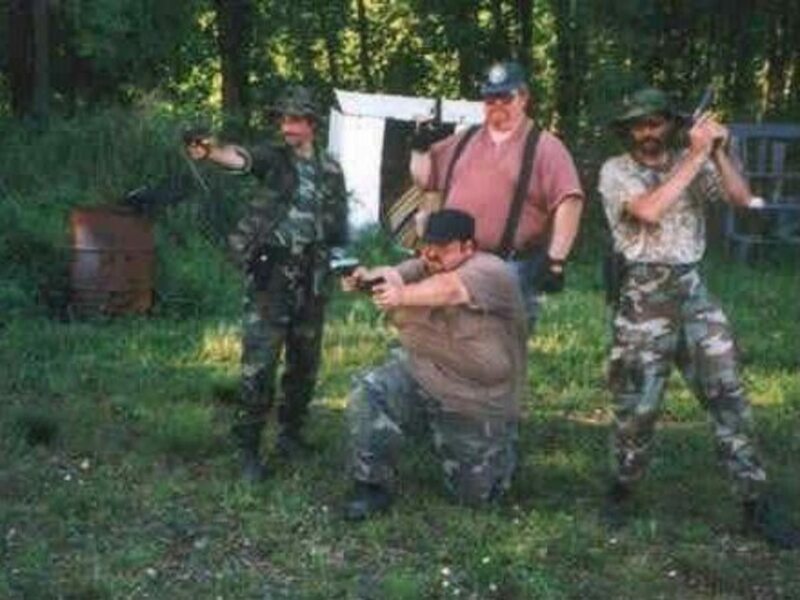 The NRA pushes 'tyrannical government' paranoia, then militia "patriot" groups spring up all over America. The NRA says "Obama has a plan to take your guns", then people stock up on firearms and ammo. The NRA equates firearms to freedom, then people rush out to gun store buy all the freedom they can afford. When a mass shooting happens somewhere, the NRA says that if everyone had been armed it could have been avoided. More people buy guns. We need gun control regulations that reflect the reality of 2018, not 1789. No regulations will end senseless violence, but we can reduce it. Presently, there are no meaningful proposals nationally to change the law to acquire firearms. The NRA virtually owns congress, GOP and Dems. The first priority should be to dramatically change the lobbying laws. 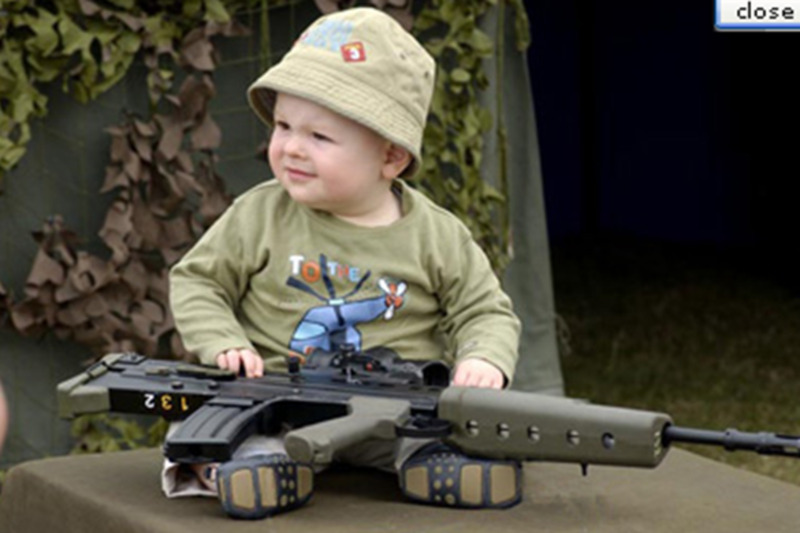 There are already over three hundred fifty million firearms in the country and up to five million assault style weapons. Maybe the horse has already escaped the barn; more stringent regulation may be too little too late. What America really needs is a change of heart and in turn a change of mind: to not be so fearful of others and of the government that we the people should be in control of. I will explore possible options in articles to come. Can;t say I agree with this article. I feel like you have a very bias few point in the article. I'd like to see this thought process from a less bias view point. It could be an interesting objective. I can't help but read this and hear "ALL GUNS ARE BAD!" the entire time in my head so to speak. I guess what I'm saying is, I feel your own beliefs and agenda come out here. Which is of course totally fine. It's your article afterall. It's just not something I enjoyed reading. You're just being repetitive in a more verbose way. All your questions and points are addressed in the article. Why then isn't that the focus of your article? To at least talk about enforcement of the existing laws, before propounding that new laws will work what better, or the same. And why are gun deaths by suicide a non sequitur? They are shootings, and they aren't being gun controlled. I won't go over the details of my opinions because I have written articles where I detail them. Sorry about the late comment, I only work Hubpages on an active basis. BTW, before I leave. If gun control is so needed today, then why in 2009-2011 didn't the democrat super majority congress write these gun control laws then, that the democrats are demanding today? So then, we the people induce OUR government to enforce gun laws already on the books. Your suicide assertion is a non-sequitur. We already have enough gun laws, the gov is not enforcing them. Half of the gun deaths in the US are from suicides. Who is dealing with that problem? Secondly, You keep trying to politicize this issue, you have an agenda and that clouds your reasoning. Thirdly, Please do not promote your Hubs on my comment thread. I wouldn't do that to another Hubber, do not do it here. You've had your say Matthew. I'm not going to debate or argue with you on this. You're disingenuous. The gun show loophole. Not all gun show dealers have to be licensed or even ask for id. Local gun laws are useless when someone can simply cross state lines to acquire locally banned weapons. That's why Federal reform is required. As stated in the Hub, over half of all the mass shootings as of Oct. 2015 were accomplished with legally acquired firearms. That's not including the Orlando shooter, who never should have been able to own an automatic weapon, yet he legally purchased an AR-15. 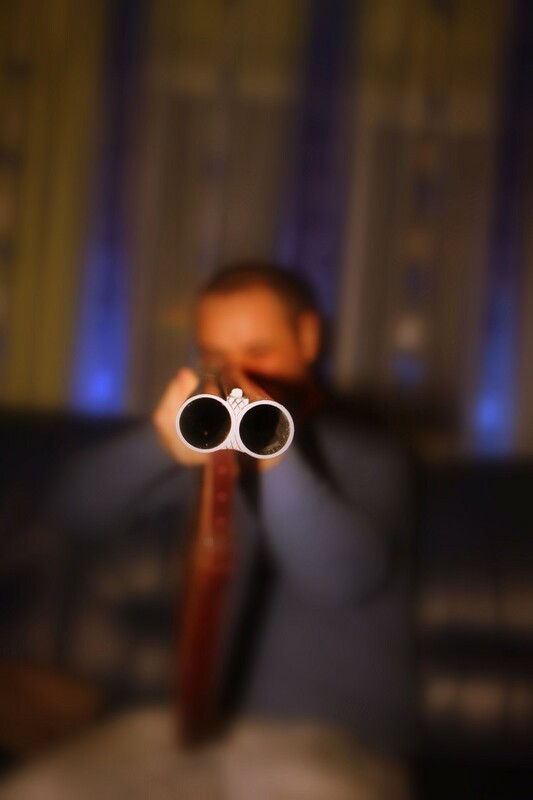 Either we look this gun insanity in the eye and rectify it, or we meet our demise from it. Well said Billy. Our thoughts on this matter are very close. I admire you taking on such a controversial subject. I have never owned a gun; never will. I don't have anything philosophically against gun ownership, but I do have much against the refusal to even discuss some sort of intelligent gun control. I need someone to tell me why a law-abiding citizen needs an AK 47.....my mind simply won't wrap around that concept. Thank you for sharing this post with us in our "Best of 2015" Blog Post. Very thought provoking! Interesting hub especially reading the comments. I go along with that Beth wrote. I'm suppose to live in one of the most violent country in the world, but I would NEVER allow any firearms in my home! The energy of FEAR is the only force that can control people. The moment FEAR has no control over us, even fire arms will not achieve anything. Yes it can kill our body, but never our spirit! Thank you all for reading...This is a worthy discussion. 1. Just because you're not a 'gun nut' doesn't mean that gun nuts don't exist. 2. Your disagreement does not invalidate any of my points. Great article. Here's a concept, why can't there be a rational association not ran by fear and paranoia that supports gun ownership with reasonable guidelines? What isn't understood is that the percentage of people who want to take guns away is negligible, including liberals. Just some regulations so we could keep them from going south of the border and a few constraints on what types of guns you can own and where you can take them. It's not a slippery slope to the total illegalization of guns. There is about a billion miles of middle ground to work with. An amazing good hub. 5 stars. As an European the whole gun and 2nd amendment discussion is beyond me. Every day there are mass shootings in the US. It's a simple equation. If there are less guns in a society, there are less accidents. But fear is not the answer. To give fearfull people a gun is the worst advise. Like a cat in a corner it will do the craziest of things. The more guns on a street or in a society, the more fear will spread among it's population. The more police on the street, the more you have the feeling that something is wrong, and instead of feeling save, you feel unsafe. I hope the cowboy and Indian mentality will stop in the US and people will change laws that wont work anymore in 2015. I read it. Some valid points and some invalid. Do not place all gun owners in the same category. I have been shooting since I was 11 years old. 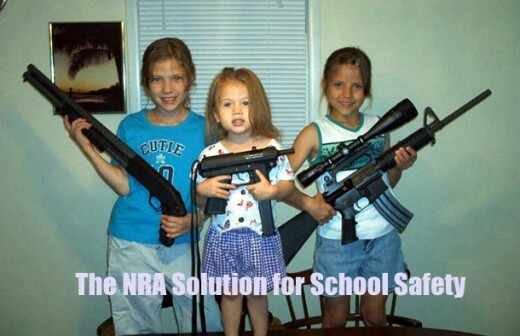 I was trained by NRA classes in gun safety. I was in the United States Navy and trained again in gun handling and safety. I have guns for many reasons. Collector as a hobby. Historical reference and yes, in these times of Islamic terror, protection. And yes I do not trust this government as far as I can throw them. Guns are not the problem. Mental health is. I don't mind waiting for background checks. I held a top secret crypto clearance in the Navy. I am fine with it. The thing that gets me is liberals putting labels on high capacity magazines, assault weapons and what ever else fits their progressive agenda. I am not paranoid I am a realist in a real time where this country is on a path never seen in our history. You made statements about the NRA saying things to boost gun sales. The NRA stands up for our constitutional right. No one else does! The liberal base goes way beyond what the NRA does promoting their progressive liberal agenda. You call us gun nuts. The nuts are the ones getting guns from various sources and shooting up gun free zones. If a honest law abiding "gun nut" would have been at any of these locations the outcome would have been different. It's ok you don't like guns. You have that right. As I have the constitutional right to own guns legally. For sport, to collect, hunt and protect my family. My dad was a cop for 28 years and has seen the crap of society. So don't put me in that gun nut boat. When you find a low life breaking into your home, who are you going to call? A good guy with a gun. Farawaytree...Thank you. I am honored. Thank you for reading Beth. And, yes...when asked pertinent questions, gun nuts often, usually, give totally irrelevant responses. I really feel sorry for people with this gun mentality. They live in fear and paranoia, believing anyone is out to get them. They can't or won't think for themselves. I had a friend just like this. I finally unfriended her because she refused to answer a simple question: Are you perfectly okay with my mentally ill brother purchasing a semi automatic weapon and walking around your kids' school with the weapon loaded. The problem with gun nuts is that they can't answer these simple and logical questions because they've been brainwashed to believe that if they answer no, they're unpatriotic. Deep down they know the right answer, but won't admit they would not be comfortable with the situation I gave. Instead my former friend responded with, "a criminal will get guns no matter what." A completely irrelevant response. And such is the mentality of gun obsessed people. Yes it is my opinion, an opinion formed from research. Although I admire your dedication to defending your obvious opinion that some sort of gun control should be implemented, I'd like to share a few things that might broaden your thinking. 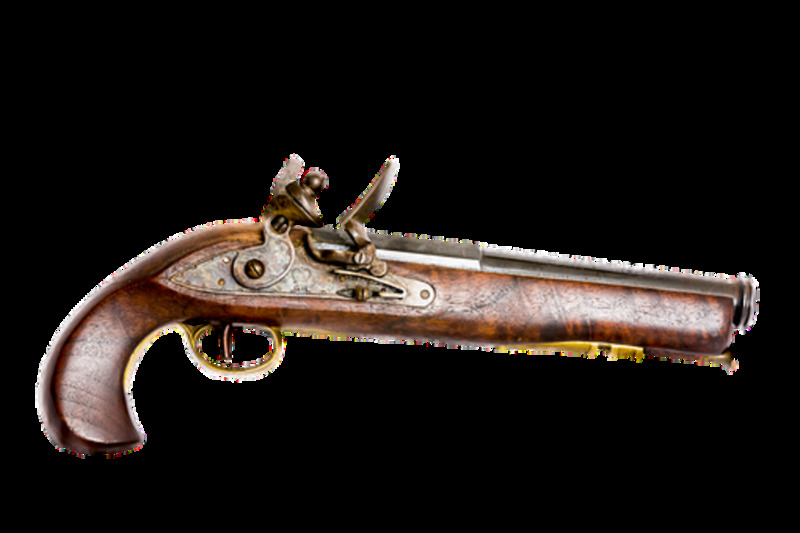 Our founding fathers, most of which were former English citizens, enjoyed the right to bear arms while in England. English law was very specific and not only required able bodied men to own weapons, but to keep well skilled in their usage. Should the nation come under attack by foreign invaders, the citizenry would be conscripted to fight for their country and the expectation was that they would be well trained. Yet, when these same men went to the colonies, they were denied this right after some time by the English crown due to the numerous uprisings against England, regardless of the fact that they were still citizens of England. These men saw firsthand how a government could try to strip the rights from a segment of the population to force them into submission. If these men would have given up their arms - we'd be serving high tea. An armed citizenry does present a huge barrier for a government intended on oppressing its people. We are seeing a firsthand account of the need for weapons for self defense in Europe with the invasion called a migration, where non-citizens are terrorizing people and committing a wide variety of criminal actions. I personally feel Americans need to be armed to the teeth and I've written a hub that takes the opposing opinion. Perhaps we'll never agree, but as I said earlier, I feel you've put together a nice piece.